Bruderer BSTA 60-HL – StampTech Inc. 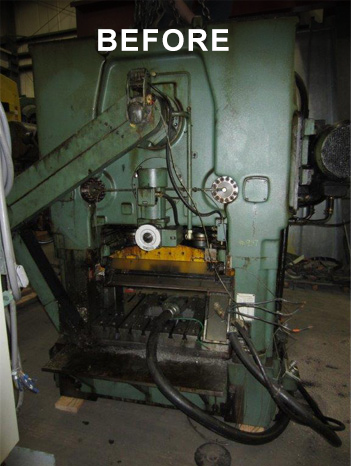 Remarks : Customer sent us their worn out press with an original non-working press control. 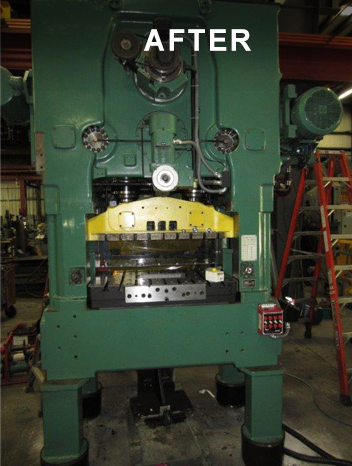 We rebuilt the press to new machine standards. We also designed and interfaced a new, fully optioned, Wintriss Press Control to allow them to standardize with their other presses.